SPEC INDIA/Blog/Cloud Migration Services, Supporting Almost Everything as A Service!! Not a disruptor anymore, the Cloud becomes inevitable in the modern-day technology landscapes offering almost Everything as a Service, better known as X as a Service. Infrastructure, platform & software flexibility, affordable models and high availability are continually contributing to increase in popularity of Cloud. On-premise infrastructure is not going to be obsolete overnight, but the edge that Cloud has is clearly visible. Today, most enterprises involved in software & tools development are making their offerings available over the Cloud. Undoubtedly, Cloud has played a game changing role when it comes to cost optimization, scalability and service management complexity. The next-gen growth within Cloud is being driven by the concept of “X as a service”. The traditional IaaS, PaaS, SaaS Cloud offerings have now diversified into multiple areas, such as storage-as-a-service, database-as-a-service, communications-as-a-service to name a few. The underlying principle is to deliver any form of service using the internet to target users with intuitive cloud app development services. In fact, comprehensive infrastructure & application monitoring as a service can also be procured with the Cloud. Everyone The Industry Swears By is On The Cloud And Most Efficiently So…..
Microsoft Azure, as a Cloud implementation has been recognized by multiple enterprises globally. The collective scale of services that Microsoft provides over the Cloud is huge, and effectively covers all platform, infrastructure and basic software needs. Another offering from Microsoft that is gaining in popularity is Office365, as organizations have fallen for its flexibility, licensing model and secure environment. The global pioneer in the world of technology has already invested over $30 billion in the Cloud, and returns are expected in the longer run. Google Cloud Platform today has a host of desirable features over & above the regular services, including analytics & data processing. 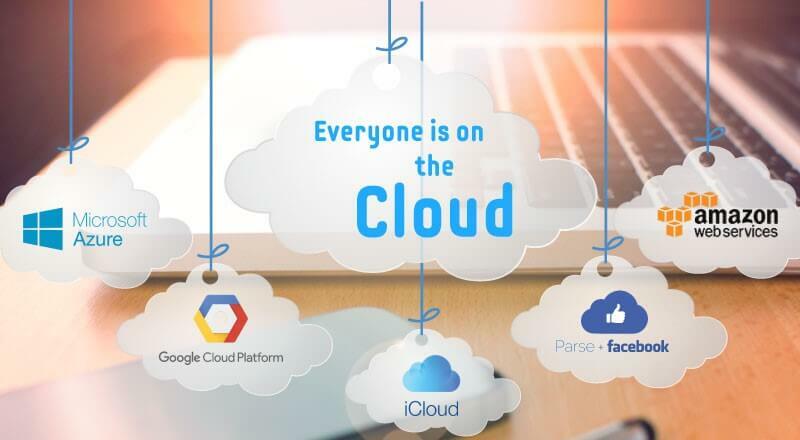 Google also released Cloud Spanner a new relational database service in the Cloud, few months back to attract a customer base that sticks to traditional providers like Oracle. The mobile phone giant has maintained its footprint with iCloud and there is no lack of popularity with the brand. The users get seamless experiences across multiple Apple devices with and the solution complete with backup & sharing features and support of appropriate cloud app development services. The pricing may seem a little expensive for users that require hundreds of GBs or TBs of space. However, the synergy across Apple devices along with the ease of access makes up for the price. A recent, important update in the Cloud area, Facebook is pulling off its popular, acquired brand – WhatsApp from IBM Cloud. This would potentially be a big blow to IBM, however, it is a wise move from Facebook’s perspective considering the advances in its data center technology (thanks to Open Compute Project). Facebook is known to do this kind of Cloud migration with acquired apps in the past as well. In a recent blog, Amazon has declared a new pricing model for AWS IoT. A significant chunk of Amazon customers use AWS IoT as a gateway to AWS Cloud. A smooth migration from on-premise solution to Cloud just because it is the done thing is not enough. 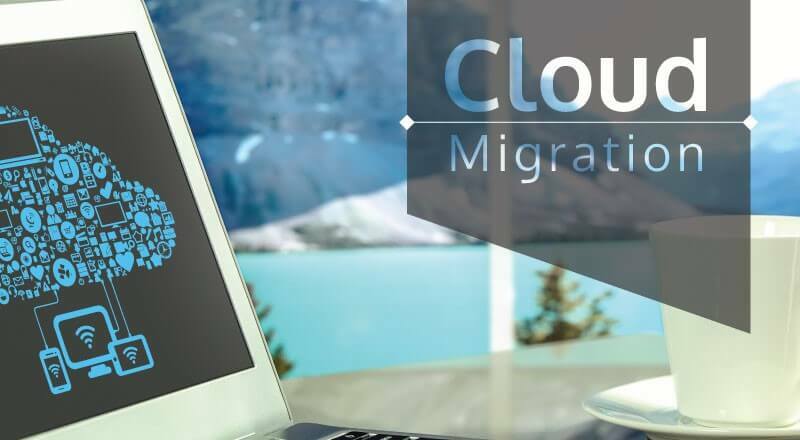 Enterprises generally go with a great deal of planning, even hiring specialized IT consultants offering cloud migration services to plan the shifting of infrastructure & application landscape to Cloud. Enterprise needs to carefully consider what best suits its needs, whether it is a public, private or hybrid Cloud. The organization also needs to review if they just need to move their infrastructure to Cloud, or the full application landscape including development platform. This area might sound lucrative as Cloud generally ends up saving money on hardware & IT staffing. However, Cloud services are not that cheap considering the bandwidth, especially the private model, and for enterprises with global operations, having a 100% Cloud strategy may add significantly to operation costs. While Cloud models have proved to be secure over the years, regulatory compliance needs to be carefully considered. If for a particular line of business, the mandate is to have data at the endpoint of access, then an on-premise infrastructure or a hybrid model needs to exist. The migration plan needs to be detailed at every step, including the actual time of kick-off. The organization must decide which applications or platform solutions to move to the Cloud first, and which ones will go last. Criticality of organization services and the impact they have to the end user serves as a measure to chalk-out out the complete migration plan. As part of the migration strategy, it becomes necessary to validate if legacy application code is compatible with the Cloud platform, or do the enterprise applications require some kind of upgrades. Third party products or ERP’s generally come with compatibility versions for Cloud, but for home grown applications, a detailed application design review is required. 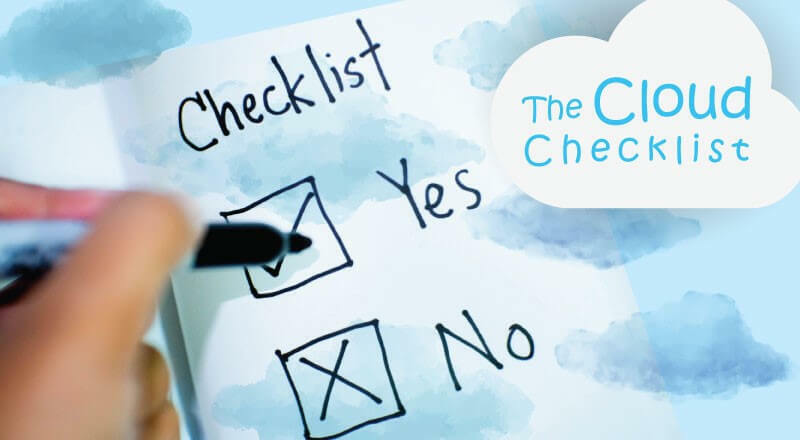 A decision as huge as this, it goes without saying is not without its set of challenges too catered to very efficiently by cloud migration services. Opting for a Cloud setup means that the enterprise loses control over the physical infrastructure. While the organization can control the assigned infrastructure, platform as well as overall setup, it may become cumbersome to get major changes implemented by the Cloud provider. For example, if there is a compelling need to double the bandwidth overnight, or opt for a major platform overhaul in a limited time span, there is no guarantee of 100% flexibility. While an appropriately performed Cloud migration generally results in smooth operations post completion, managing performance of all in-scope applications is not easy. Applications & software components are expected to behave in the same fashion as before the migration, and consistency may be lacking in case of compatibility or network related issues. During the migration as well as post movement to Cloud, enterprises always have this nagging thoughts on data security. The challenges with data security are not baseless, given the recent breaches in cyber security globally. Modern Cloud architectures do guarantee data privacy & integrity. However, the very essence that the data is going to move from physically, self-owned servers to a system that is hosted elsewhere and accessed via the internet cannot be taken lightly. Application compatibility with new platform is always a challenge with Cloud migration. Appropriate testing is required to determine if all software components running on traditional systems will work fine and behave as projected during & post migration. It is also vital to ensure interoperability between different systems & applications that are part of the Cloud migration. Application availability is of paramount importance for the organization, and one of the challenges with Cloud migration is to minimize the overall downtime. Any form of network outage can result in significant loss of revenue for the organization opting to move to Cloud setup. By the end of the current decade, the market for XaaS with appropriate cloud app development services is likely to grow over 38% (CAGR) according to studies of good repute and then there are all reasons to believe this!